Adobe has just released (quietly I might add) the Flash 10.1 plugin. This new version supports hardware H.264 video acceleration on Windows PCs (no Mac or Linux release yet) with compatible graphics processors. This is good news for underpowered ultraportables and some netbooks should now be able to play high-definition YouTube videos. If you want to check if your hardware is supported by this release, you can check the release notes, which include Nvidia’s GeForce and Ion lines, AMD’s Radeon HDs, Intel integrated GPUs in 4-series and newer chipsets, and Broadcom Crystal HD video decoders. 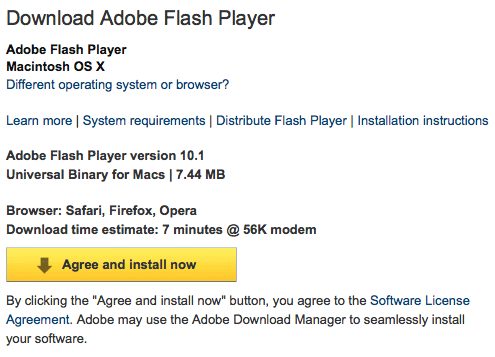 If you’re ready to download the new flash plugin, just head over to get.adobe.com/flashplayer page. Or if you don’t want to deal with Adobe’s download manager, you can get Flash 10.1 via .msi or .exe installers available on their repository right here.